HAKI is pleased to announce that with immediate effect, Park Derochie will be the primary contracting partner and distributor in North America for the HAKI Universal Product range – including but not limited to, steel and aluminum Universal Scaffolding, Stair Tower systems, the all-new HBS (HAKI Bridge System) and the all-new PAS (Public Access Stairs). Park Derochie will also have access to the complete range of HAKI products. With over 60 years of experience, Park Derochie specializes in all types of coatings and blasting, fireproofing, mechanical insulation, scaffolding and containment in a variety of sectors. They offer shop and / or field services to both industrial and large commercial customers throughout North America and continue to lead the way as one of Canada’s premier industrial contractors. 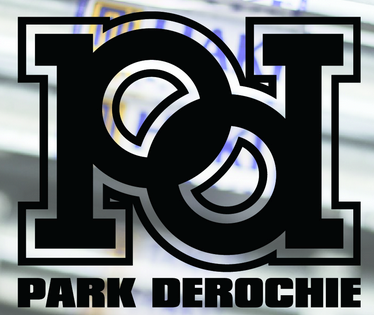 As per their mission statement, in order for Park Derochie to provide “Best in Class Services” they must use “Best in Class Products.” Choosing to partner with HAKI provides their clients throughout North America with a system that addresses the three most important factors in determining the “right” scaffolding; Safety, Quality & Productivity. The HAKI Universal scaffolding system is estimated to give a conservative 20% productivity savings on erecting and dismantling year round. It is lighter than most systems and requires less components and less usage of tools when erecting common scaffold builds. With most companies in North America owning millions of dollars’ worth of scaffolding equipment, changing over to a new system is a costly endeavour. As Park Derochie had primarily rented their scaffolding equipment, they were uniquely positioned to take advantage of this game changing opportunity when it arose. “HAKI Scaffolding has long been established in North America as a leading player in the modular system scaffolding market, but this partnership will take things to the next level in the region and the timing is perfect given the updated and wider range of new HAKI Universal products available. “In addition to learning of HAKI’s increased safety, quality and productivity and upon seeing how widely HAKI Scaffolding is used throughout Europe in the oil & gas, offshore and commercial industries, we at Park Derochie believe that this system will play a major role in the scaffolding industry throughout North America.